Home»All»Where in Houston? Blue Trees at Allen Parkway and Waugh! Yesterday I asked where in Houston this picture was taken. 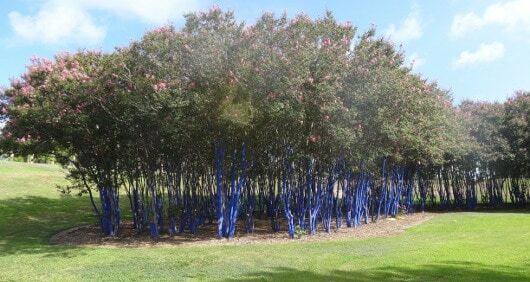 It’s from the Blue Tree Installation at Allen Parkway and Waugh Drive! It’s a temporary public art installation to bring awareness about deforestation and its global impact.